Tribes Overall: "Perfect - reservations and transfers worked flawlessly, and the camps and lodges exceeded our expectations"
Tribes Service: "Everything was tailored to our needs and nothing went amiss." Social & Environmental Responsibility: "High level of awareness of wildlife and environmental impact. 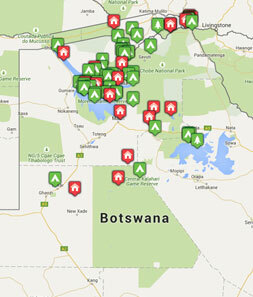 Very impressed with Botswanas commitment to both"
Beautiful lodge and comfortable cabins. Chipo was an excellent guide and driver. "Bush camps, game drives, clear skies filled with stars, and clean air scented with African sage. We were also very fortunate with animal sightings."